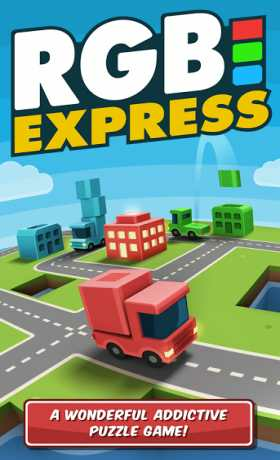 RGB Express is a game where you have to deliver colorful packages to their destinations. 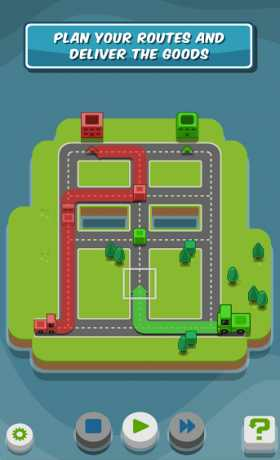 RGB Express is a unique and beautiful puzzle game. Simple to play, yet super addictive! 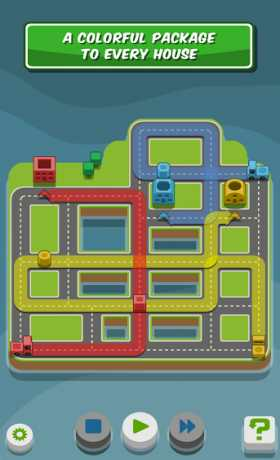 The game starts off with easy puzzles, which will teach you the many tricks, that help you solve the more difficult ones. There are bridges, buttons, sometimes you must swap cargo from one truck to another.. Eventually you will meet the mysterious white car! * The game contains 3 free hints that will help you if you get stuck. If you want to use more hints, you can buy them as in-app purchases. * TIP: Sign-in to Google Play Games at the main menu to unlock achievements! If you change your phone or tablet, you can then restore your game progress by signing in to Google Play Games before completing any levels. Please note that this only restores the progress based on the achievements (100% completed islands).